Rock Bands of the 2000s: Where Are They Now? Back in the early 2000s, you couldn’t move for rock bands. Everyone was listening to Linkin Park, Limp Bizkit and Korn. What happened to those bands? Well, Linkin Park actually released a new album yesterday, The Hunting Party, and recently headlined Download Festival. It’s fair to say they’re still pretty big. Where are they now? After becoming one of the biggest bands in the world after releasing Chocolate Starfish and the Hot Dog Flavoured Water in 2000, Limp Bizkit faded away a bit. 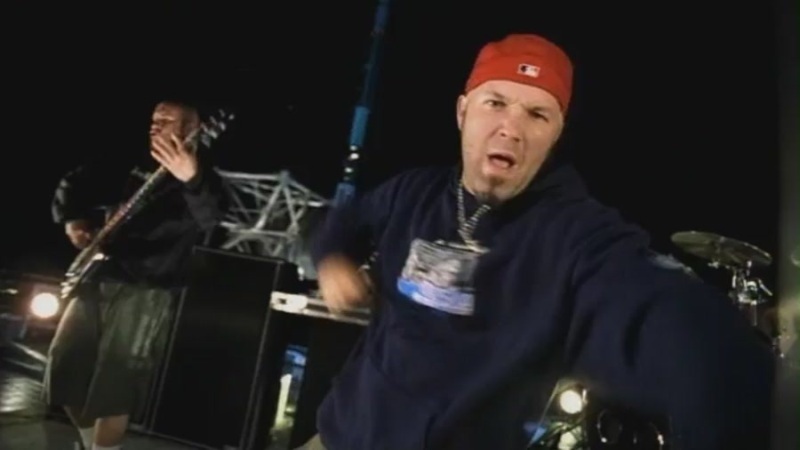 Their 2003 album Results May Vary sold poorly, and after releasing another dud, Fred Durst disappeared soon after. The band’s original line-up got back together in 2009 to release a comeback record, Gold Cobra. It got great reviews at the time, but no-one remembers it now. That hasn’t stopped Fred and co having another bash though, and their new album Stomp of the Disco Elephants comes out next month. Where are they now? : Despite Smooth Criminal hitting #2 in the UK, Alien Ant Farm’s success soon dried up. A string of albums went unnoticed, band members came and went and, in 2011, it looked like the band would split for good. Fortunately, the original members got back together and are currently recording a new album. They’re asking for fan donations to fund it, although you can’t ask for more Michael Jackson covers when you donate. Where is he now? Mr W.K is still partying hard, although he now uses Twitter to spread his message of ‘positive partying’. Yep, he’s a life coach. Check out his pearls of wisdom here. Where are they now? : Still going, apparently, although vocalist Wes Scantlin is the only original member. According to Wikipedia, a recent concert didn’t go well: Scantlin threw a microphone and beer into the audience, threatened to fight several fans and lip-synced throughout. Rock n’ roll, eh? Where are they now? Papa Roach are still quite popular, especially in their native US. Their last album hit #17 in the US chart, which isn’t bad at all. It even hit #37 in the UK, so they definitely have fans over here still too. Where are they now? After the success of Toxicity, the band released two massively popular albums: Mesmerise and Hypnotise, with the former hitting #2 in the UK charts. The band went on hiatus soon after, returning in 2010 for the odd live show. They apparently have a new album in the works too. Where are they now? : Adema disappeared from the mainstream shortly after Giving In and another hit, The Way You Like It, was released. They’re still plugging away, although their last album came out nearly 7 years ago. Don’t hold your breath, Adema fans. Where are they now? : Still chugging away at it. Like Adema, they haven’t had a hit since Poem but they’re planning to release a new album soon, which is nice. Where are they now? : One of the biggest bands in the world. Their last album, All Hope is Gone, reached #2 in the UK charts, and they play arenas and headline festivals throughout the world. Lead singer Corey Taylor has since demasked and fronts another hugely successful band, Stone Sour. A new album is expected soon. Which rock bands do you miss? Which do you still keep up with? Let us know on Facebook, Twitter or in the comments. And remember: if you own any of the above and are a little bit embarrassed, you can sell your CDs with musicMagpie!